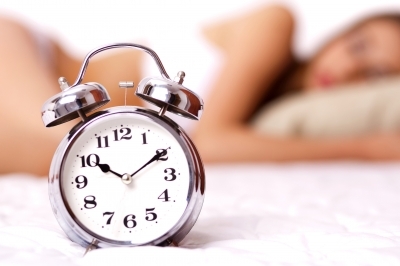 Menopause and sleep are often not too things you would see in the same sentence. The onset of menopause brings hot flushes, itchy skin and all manner of annoying symptoms, which can have a knock on effect for your sleeping patterns. We have put together a list of handy hints and tips to help you get more out of your bed time routine, if you are having trouble catching those Zzz’s. There are many ways in which you can increase the length and quality of your sleep, by taking action, gently, whilst you are awake. Try calming activities before bed such as reading or listening to soothing music, this will reduce your stress levels. Use a thinner blanket on your bed, or even a sheet instead if a blanket is too much, but you still want to feel covered and comfy. Your doctor can also recommend some prescription sleep remedies if you are finding it particularly difficult to sleep, and so if the above tips do not work, it may be worth making an appointment with your GP. There are also some diet changes you can make to help you sleep. It is often recommended that you do not eat too late, so that your body can fully digest your dinner and not cause you discomfort whilst you are trying to sleep. You should also try to avoid foods with caffeine such as coffee or chocolate flavoured desserts, too close to bed time. 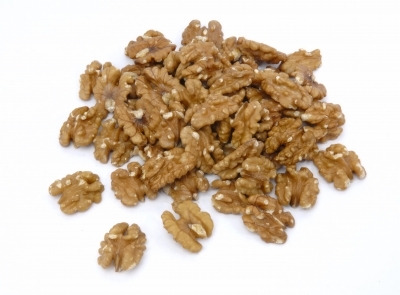 Walnuts are a good source of tryptophan (an amino acid) which cause the body to release serotonin and melatonin, which improve your mood and help you relax. They also have their own natural source of melatonin, which may help you fall asleep faster, according to the University of Texas. Contrary to popular belief, eating cheese (or any dairy) before bed can actually help you sleep as Calcium helps the brain use tryptophan (also found in dairy) to make melatonin, which will help you sleep. Chamomile tea is associated with an increase in glycine, a chemical that relaxes nerves and muscles and acts like a mild sedative. A cup of this before bed will help you sleep, according to researchers. We hope that this will assist you in achieving a deeper, more relaxed night of sleep. You can look out for more tips for coping with menopause, especially skin care , here on our blog or on the Stratum C website, where you will also find more information on our moisturising skin care products especially designed for menopause. As we get older, we often think of spots as something that we should only have in our teens, however numbers show that conditions such as adult acne are more commonly suffered in adults. Whilst there are several products on the market for treating such conditions, many people do not realise that as we begin to age, our skin dramatically changes, which can mean that some cleansing products are not suitable for more mature skin. Teenage skin is sometimes more robust and, depending on the level of spots, can often withstand harsh skin care routines in an effort to get rid of impurities. When you approach menopause, the decline in hormone levels means that your skin can become more sensitive and also thinner. This is why Stratum C chose to develop a Spot Relief lotion to help reduce inflammation, without using strong, damaging ingredients, allowing you to localise use and protect your sensitive skin. The Stratum C Spot Relief is made up of Zinc Oxide, Sulphur and Salicylic acid, commonly used in many spot fighting products. But for this formula, ingredients are used in the right levels and with correct application to prevent damage to your skin. These ingredients work together to fight the redness and swelling, and improve the general appearance of blemishes. You may be tempted to shake the bottle but don’t! Let the pink sediment settle at the bottom, which becomes separated from the clear liquid at the top, which is protecting the active ingredients from being exposed to oxygen in the atmosphere. Take a cotton bud and dip it through the clear liquid and into the pink sediment, and dab onto the affected areas, leaving to dry. The active ingredients begin to work as they come into contact with oxygen. This should be repeated before bed time and left on through out the night to get to work. You can simply wash off in the morning using the Stratum C Gentle Cleanser to reveal a reduced pimple that is now on its way to healing. By using only on the local area of the spot, the active ingredients can do their job without drying out the rest of your skin, maintaining your skin’s natural oils as much as possible. This is ideal, as when skin becomes dry, the excess skin cells can often block pores, causing spots to form. The Stratum C range provides a Gentle Cleanser, full of seaweed extracts and vitamin’s from the natural Rose hip oil, to help clean your skin without stripping your skin of it’s goodness, but also replenishes vitamin’s lost during menopause. The Protect Cream and Repair Serum also compliment these cleansing products to help put back the nutrients lost during menopause and deliver hydration even into the lower levels of the dermis. Stratum C cream and serum also contain collagen boosting peptides, scientifically proven to increase natural collagen production using a simple topical application, no need for any invasive anti-wrinkle treatments. 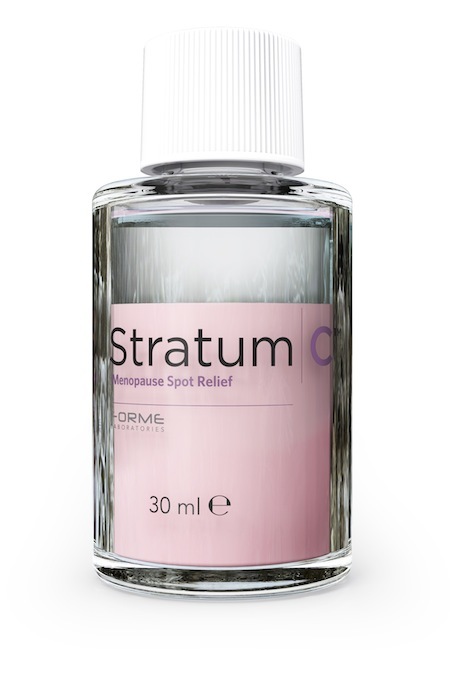 For more information on the Stratum C range, visit http://www.stratumc.com, where you can find out more about the science behind menopause and the skin. 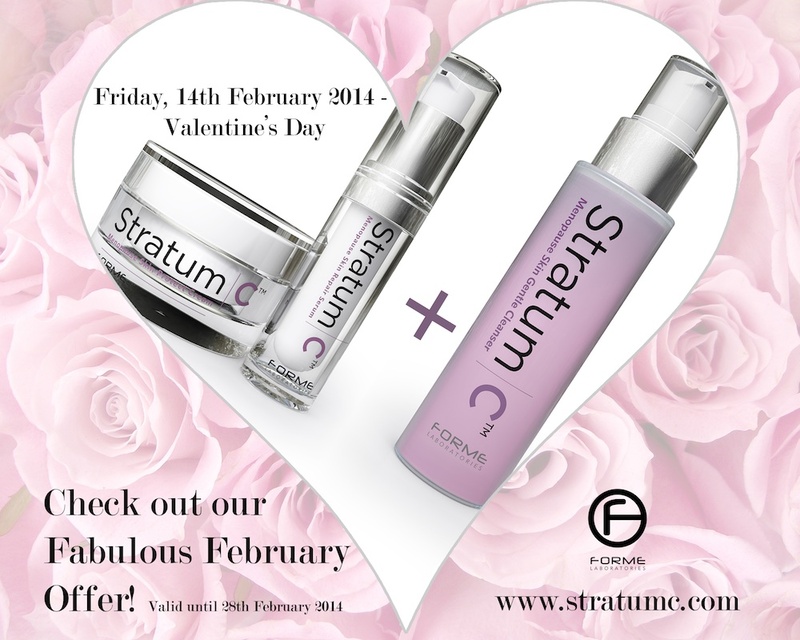 This month, to celebrate Valentine’s Day, Stratum C will be giving away a free Rose hip Gentle Cleanser with every order that contains a special value combined pack of Protect Cream and Repair Serum. This means that you will make a total saving of £33! The offer is only on until 28th February, so visit http://www.stratumc.com now to benefit from this exclusive offer! Stratum C Menopause Skin Care is the first range of products formulated specifically for menopausal skin, to help repair and protect your skin against the damage that menopausal hormone changes can bring. Please contact Forme Labs for more information at info@formelabs.com or if you wish to place your order over the phone, please call 01252 267950 (UK), where we will be happy to help and answer any of your questions.